The best things in life are simple. 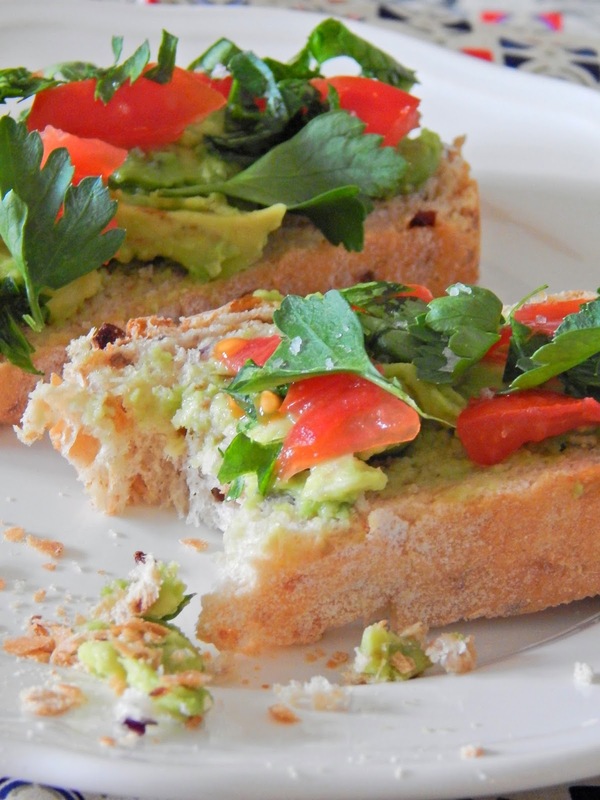 This is another one of my no-recipe recipes with a twist on a modern classic that is perfect for breakfast, brunch, lunch; whenever the need for cool avocado on hot toast strikes. I’d like to say this is an assembly of great ingredients, rather than a recipe. But it’s so good I had to share it with you! 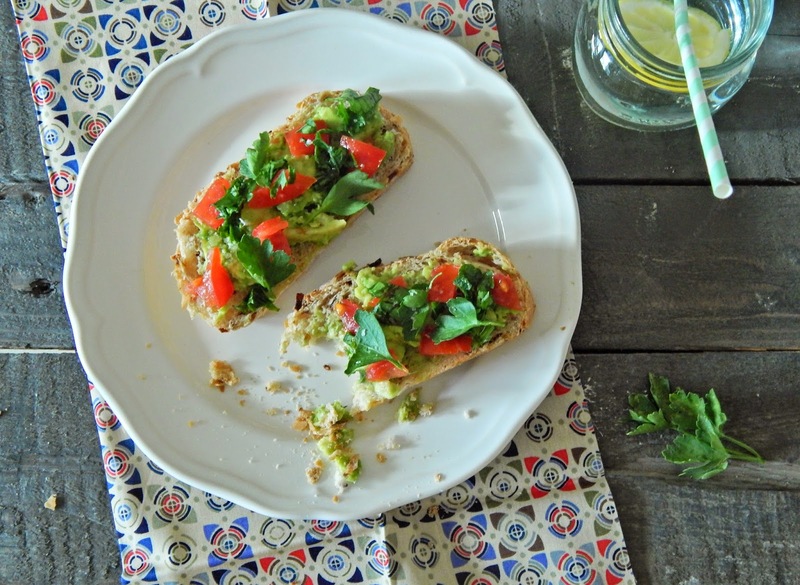 If you’re an Instagram fan, you’ll see plenty of ‘avocado on toast’ photographs- it seems to be a trend at the moment which is not surprising as it’s quick, healthy and filling. Ripe and just overripe avocados work best here as they fork down so well. Check your avocado is ripe by seeing how easily the top stem pulls out; if it falls out easily then it’s ripe, if it pulls or won’t remove, give it a couple of days longer. Choose the best tomatoes you can; I like sweet vine tomatoes for this dish but I dabble with seasonal varieties during the summer (green tomatoes are fab for this too). Fresh flat-leaf parsley cuts through the creamy flavour of the avocados and a sprinkle of coarse sea salt brings all the flavours alive with a subtle bite and burst.